When you write a blog, no matter how amazing your content is, you have to find a way to get your blog in front of your target audience. If you are blogging in a small niche, you have fewer bloggers to collaborate with to help spread the word about your topic. I’ve already discussed Blog Promotion in detail in this post, but today I want to share about how Pinterest has helped me grow my blog (which is in a very small niche). 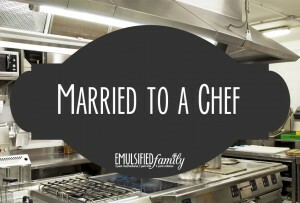 Why would you use Pinterest to promote a blog about being married to a chef? You’re not posting recipes and crafty things. But there are some people, like me, who use Pinterest to organize non-crafty and non-foodie things they find online and want to keep to refer to at a later date. After consistently using Pinterest for a few months and pinning things from my blog and also from around the web, traffic to my blog from Pinterest went way up, and continues to do so, now sending me more followers than Facebook and Twitter combined. Who knew? 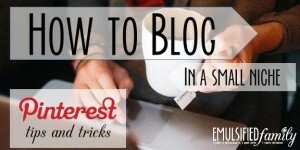 Pinterest is a great way to get your name and blog out there on the internet. Now if you’ve already clicked over to my Pinterest profile, you’ll see that I don’t have thousands of followers. (But while you’re there, you might as well follow me, right?) This may make you stop reading this post. After all, why would you want to read tips and tricks about Pinterest with someone who has the number of followers I do. But before you go, remember, I’m blogging in a niche with only a handful of other women. My target audience is very specific. This would probably be a good time to take a short break and ask for your help . . . If you know someone married to or dating someone in the restaurant industry, (a chef, server, line cook, manager, bartender, etc.) will you share my blog via email with them? I appreciate your help in getting the word out about my blog. Thanks for your help! Back to Pinterest . . . When I first started using Pinterest for my blog a few months ago, I had very few followers. That number doubled in a month and a half and continues to grow each day. When I started pinning, I only found 1 board on my topic (married to a chef, raising children with a chef, dating a chef, etc.) I found boards from restaurant servers and boards on chef life, but that’s it. So I started pinning. I pinned my posts and other related posts I found from different sources all over the internet. And you know what happened? Other chef wives found my boards and started doing the same thing. Now when I search married to a chef or chef wife, not only do I see my boards and one original one I found, I see other boards with those titles. And guess what’s pinned on them? My posts!! 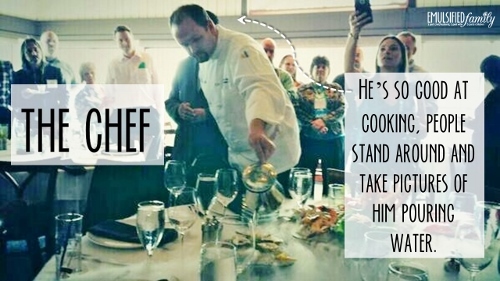 Slowly the word is getting out and other chef wives and girlfriends are creating boards to pin to like I am. And while my numbers might not grow as fast as someone who is blogging in a larger niche, they ARE growing every day. So if you are still reading (thank you), here’s what’s I’ve learned and what has worked well for me when using Pinterest to promote my blog in a small niche. I put this first because I don’t want you to miss it!! 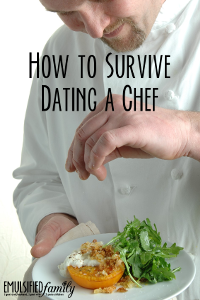 How does pinning something about Valentine’s Day help me get people to my website about being married to a chef? I HAVE NO IDEA!!! But it does. I know if I consistently see pins I like from someone, I’ll click over to their profile and see what other boards of theirs I want to follow. Once I started pinning things I thought others would be interested in on a variety of subjects, ALONG with my own content, traffic started coming to my blog. Woohoo!! It started off slowly, but I’m now getting consistent traffic to my website from Pinterest. Chef wives and girlfriends are everywhere. So the more I get my name and brand out there, the better chance I have of them finding me! This might be obvious to some, but that’s my first board, so when someone sees my profile, they immediately see that board. I always pin to this first and repin from there. If you just pin the post or graphic with the word “YES!”, it’s not going to come up in search results! If you have time, it’s a good idea to key word other people’s pins too so your board comes up higher in search results. Also make sure your boards have good descriptions and names! Because I wasn’t very careful about this in the beginning, I decided to use The Pin Doctor by Board Booster to check for broken links and other problems on my main boards last week. I was surprised to find so many broken links, even to pins I know originally had something attached to it. I now just check before I pin! I know I am a crazy organized person, but I LOVE, LOVE, LOVE, LOVE when I got to someone’s Pinterest profile who has custom board covers! It makes it so much easier to see their board titles. If you click on over to my profile (and follow me while you’re there), you’ll see I created custom board covers for all my boards. I also created a blank “category board” so that the boards are organized into categories. I just think this makes it easier to find things. Remember, my niche is small, so I need to do EVERYTHING I can to stand out online! I created the boards in Microsoft Power Point. (See below for a template to help you get started.) The slides in the template below are the perfect size for the board covers. Once you create the board cover, save it as a jpg or png. To save the slides as a jpg or png, when you click on Save As, choose jpg or png as the file type instead of a presentation. (I’ve used Power Point a lot and never knew you could do that! Woohoo!!) You’ll then have the option to save an individual slide or all of them. Then on Pinterest you add the picture as a pin to the board you want it to be on. You can edit the pin to add the URL to your website as well. (All my custom board cover pins link to this page.) Then go into the settings for that Pinterest board and change the cover to your new picture and voila – you have a custom board cover! You can download 2 of my custom board covers to use as a starting point in creating your covers here. This was a hard one for me as there are not many group boards in my niche. One of my fellow chef wives who blogs about traveling, has a chef group board which she invited me to pin on. I also started my own group board, The Life of a Chef Wife and invited other chef wives and girlfriends to pin with me. The amazing ladies over at Brilliant Business Moms started a group board where you could pin any content to help some of us small bloggers out! Then it hit me. Why not try and pin other pins I like and have found helpful to group boards outside of my niche. It can’t hurt to give it a try. Let the referral traffic to my website begin. Seriously. Cooking Tips and Tricks and Blog Promotion Pins have given me quite a few followers and with those followers have come pins from my blog and traffic to my site. Really! I can’t say I fully understand why this is working, but it is. For every post I write, I create multiple image sizes: one to share on Facebook and Twitter (1200 x 630), one for Pinterest (735 x 1102) and sometimes a third one if I want something specific for the post. I create all my images in GIMP or Power Point. If you are not already doing so, make sure to name your images using key words and don’t forget to use those same key words in the alt text of your picture as well. Pinterest will automatically pull the text to describe the pin from the alt text, and many people just click Pin without adding their own description. Use that to your advantage and use key words so your pin will come up in search results! It gets even better. I found out that you can tell Pinterest to pin a graphic that is not even in your post? WHAT?? ARE YOU SERIOUS?? My most popular post (thanks to the Huffington Post) is about my chef/husband eating Top Ramen. In the post there is an ugly picture of Top Ramen. I obviously want people to pin my post, but REALLY don’t want that ugly Top Ramen picture as the picture on Pinterest. So thanks to Jill over at Blog Chicka Blog, I’ve added some code in behind the scenes so if someone tries to pin the post using the Top Ramen picture, another picture will be pinned! It’s cool!! I’ve also added a bit of code in so if someone pins directly from my website, it counts as a repin on my original pin instead of just a new pin. I know!! It’s mind blowing! The code looks confusing at first, but once you get it to work the first time, it’s fast and easy from then on. I’d walk you all through it, but would rather just send you to the source where I learned it. Besides hosting fees, I really don’t spend any money on my blog. That is until I found out about Board Booster. (Thanks to Jill over on BlockChickBlog for that tip!) The first 100 pins are free and then it’s just a penny a pin after that. I use two main features of Boardbooster. First is their secret boards. When you set up your account, Board Booster will create a secret board for each of your regular Pinterest boards. I then pin to that secret board and Board Booster moves those pins to the main board during the window of time I’ve set up. For example I might have a board set to pin 4 pins between the hours of 8 am and 10 pm. So Board Booster will evenly space out 4 pins from my secret board and pin them to my main board. Easy enough. One reason I love this is because I can sit and pin a bunch of things at one time and not have them all go in my feed to my followers all at once. This spreads them out for me. The next feature is what drew me to Board Booster instead of other pinning schedulers. Looping! I LOVE THIS FEATURE. For my most popular boards and boards and I want to promote, I have them set to loop pins. With looping, Board Booster takes your pins and repins them to the same board they are on so they are brought before your followers again. I set how many it pins per day and at what time. Then after 7 days (or how many days I choose), Board Booster will go in and delete the pin with fewer repins. Brilliant! You can also set it to keep both pins if the pin number is above a certain amount (which you determine.) Can I tell you how much I LOVE this???? I went on vacation and came back to new followers, repins and more traffic on my blog from Pinterest and I hadn’t pinned anything while I was gone! Woohoo!! For a more detailed explanation of how to set up looping on Board Booster, go visit Jill’s site, but please use my affiliate link if you are going to sign up. Thanks for your support! 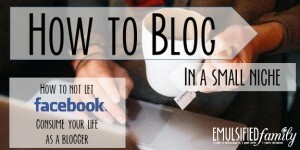 This post is part of the “Blogger Online Panel” hosted by Jill @ Blog Chicka Blog. Read Jill’s BoardBooster post and find other blogger panelists posts here: Feeling Overwhelmed with Pinterest? Set up with BoardBooster…and forget about it! Make sure to add code or a plugin to your website so readers can pin your post easily! It’s not enough any more to just have a Pinterest share button down at the bottom of your post! Use the Pinterest Widget Builder to create a widget for the board that best matches your post. 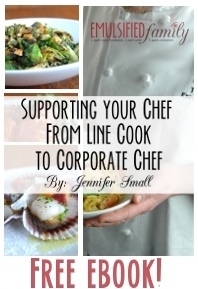 Follow Jennifer @ Emulsified Family’s board Blog Promotion on Pinterest. Add your Pinterest Profile or a Specific Board to Your Newsletter. I haven’t found a way to add a widget into my MailChimp Newsletter, so I saved a screen shot of the board widget I wanted and then just linked that image to the board. No big deal. I am just in love with Pinterest right now!! I have found so many great resources on there and am very pleased with the results I’m seeing as I use it to promote my blog. The first is The Knowtbook by Amy Lynn Andrews. From day one, she has been my #1 go to resource on all things blogging. She is a wealth of information. She has a great website and Useletter, but her new Knowtbook goes above and beyond that. It’s her working notebook that you can have access to. I LOVE that she is constantly updating it for me (well, for anyone that buys it.) It’s her notebook that she uses for all of her notes and she’s sharing it with us!! Best idea ever! You can find out more details over on her website. I highly recommend this Knowtbook if you are a blogger! It’s money well spent. 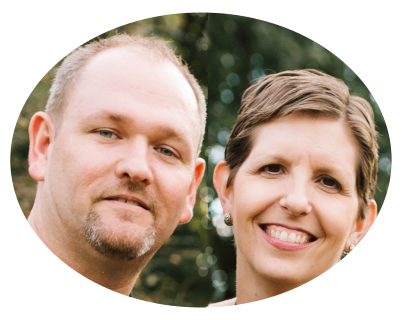 The Blogging Bunch – Sarah has been so helpful to me this year as I have been fine tuning my blog. She has some great ideas and resources on her website and a wonderful Facebook group where you can ask questions of other bloggers! Brilliant Business Moms – A great resource if you are looking to make your blog a business. They have some AMAZING podcasts that I have found super helpful and also have a great Facebook group. Blog Chikca Blog – Jill is my go-to gal for all things Pinterest. More about her and my love of Pinterest in this post. How to Blog for Profit without Selling Your Soul – What a great book this is (and I’m not a reader. So for me to recommend a book it has to be REALLY good.) I learned a ton from it as I began to promote my blog! Do you have any other Pinterest tips that I’ve missed? Let me know in the comments below. Visit Jennifer @ Emulsified Family’s profile on Pinterest. Jen, this post is great and so helpful! Thank you for linking up! Jennifer, this is AMAZING! Thank you for all of the great tips! I need to do that board widget builder. And also, I’m convinced – I’ve gotta try out BoardBooster. I love ViralTag for scheduling out my own posts to spread out to group boards, but BoardBooster’s system sounds easier in terms of finding great pins I like on pinterest and spreading out when those pin to my boards. 2 different concepts. ViralTag used to be easier for re-pins but lately they won’t load as many pins at a time when I’m on a certain page. Anyways, gotta test this out! Oh, and thanks for telling others about our group board! The more the merrier! This is so helpful! Pinterest is the one social platform I never make time for but I think I better rethink that! Shannon, your content would be easier to promote online than mine and it would fit onto lots of group boards easily! 🙂 Just beware, it’s fun and addicting! 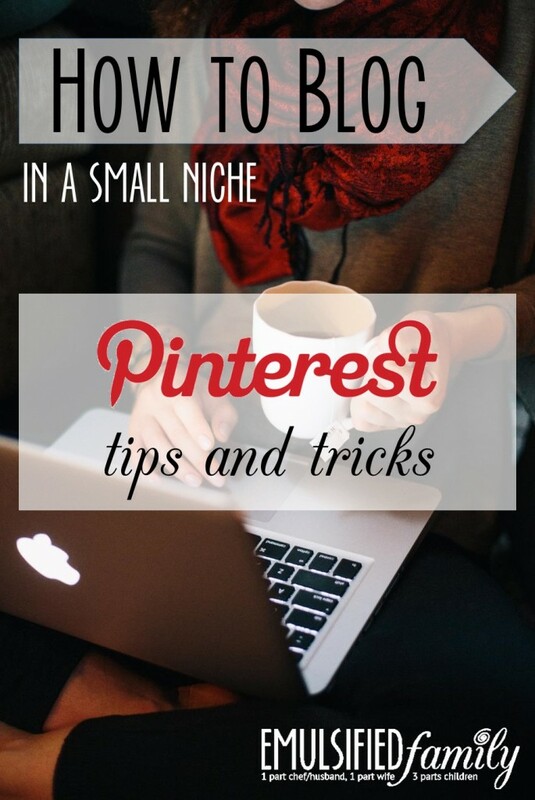 This post is a wealth of Pinterest tips! I use ViralTag to schedule all my pins but I’m going to check out your suggestions for Board Booster and see what that’s about. AND I love Any Lynn Andrews too! Good tips — I like the idea of custom covers for boards. I’ve never tried that before. This a helpful and nice post. I have learned things I never knew before. Now I need to find time to implement them! Continuous improvement. Right?! This post was great. I found so many useful tips, and I’m definitely going to look into a number of them (including boardbooster). Thanks so much for sharing. I will definitely be back! Thanks Jaime. Glad you found something useful! Loved this! I am doing some of it, but looks like I need to expand a little more. Just need to spend a couple of hours (ok all day) getting my Pinterest up to speed! WOW! A wealth of information here! I think I learned at least 10 new things reading this post. I’ve got a lot of work to do! Thank you for the blogging resources too as I am looking to take my blog to the next level. You have a great article. Pinterest is AMAZING! It is. Now I just need time to do all the things I pin!! LOL! Great idea. Except I need a week, not a day! I get a fair amount of traffic from Pinterest to my blog and have been meaning to try a Pinterest scheduling tool. Thanks for the tips! I’ve also added your site to my blog’s list of CommentLuv enabled blogs. I seem to always forget about putting a Pinterest Widget on my posts. 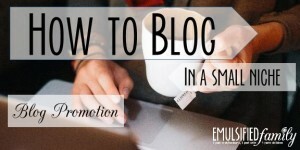 You’ve got amazing tips in this post, and now I’m going to head over to all the Blog Promotion one to pick up some more tips! Thanks girl! Now that I’ve started including them in posts, I need to go back to old ones and add them too. Everything just takes so much time!! I don’t use pinterest. I think there is just too much stuff to go through and I don’t want to get “addicted” like I have heard so many others complain about. So I never thought about using it for my blog. With your tips, I may have to rethink my Pinterest interest! I feel like we’re twins! I do everything suggested here, except Board Booster and create custom board covers (the latter is just preference). I use Tailwind to schedule and I keep a pretty consistent and disciplined editorial/social media calendar. With group boards I make sure that I pin 3 pins from each collaborative board to my boards each week. I read how group boards don’t get pins away from boards as much as they’re pinned to. I want to be a good pinner and every little bit helps for us smaller bloggers!! And don’t get me started on the Knowtbook!!! 🙂 Good idea about pinning from the collaborative boards we pin to. Never thought of that. 🙂 Thanks for the idea! I have really neglected Pinterest as far as my blog is concerned. I’ve focused on twitter and Facebook. But I know I’m missing out on potential traffic from doing so. Thanks for the tips and for the download! This is some great info. I need to pin it to save for later. Who knew there were all these tricks to Pinterest! Thanks for sharing! I’ve been wanting to learn to work with Pinterest better and this article has a lot of things I hope to use soon. Thanks for sharing. Thanks Phyllis. I hope it’s helpful! Thanks for your info on the blogging in a niche an interest. I went over to a pinterest business account(they offered it to me) and had an awful time. My stuff got all changed around and my profile widget disappeared from my blog. It took over a week, with several email to customer service to put things back the way it was. That board booster sounds like a good idea. This is so great! I’m always looking for tips for my blog. 🙂 Thank you! My pleasure. Thanks for stopping by Candi! Recently, I created custom Board Covers to unify the look of my Pinterest page. I am working on getting in the habit of pinning my own posts. I worked for another blogger running their Pinterest account and found group boards to be the best source of gaining a following on Pinterest. In the last six months, I watched her niche travel blog Pinterest account grow from 200+ followers to 3,000+. Group boards that fit your niche really do help to grow one’s following, as well as sharing other’s pins. My account is not so flashy in growth as hers, but I have learned a lot creating graphics for her Pinterest. That’s good to know. Besides the one I started, I don’t have any group ones in my niche. I’ve only found boards about chefs. I’ll keep looking and pinning. Maybe one day! I can see how that would really help spread the word! Thanks! How cool! I’ve never heard of Board Booster before! I am most definitely going to have to check it out! Thanks for sharing! Great tips! I’ll have to try some of them to see if I can increase my traffic with Pinterest. This post is SO well written and filled with such great tips! I’ll definitely be referring back to it a lot (and reading the other posts in your series). I had NO idea about the coding to make the image you want pinned come up when they click pin it! That is SO cool! Those are great tips. I love Pinterest for blogging and personal use. I actually mix my blog and personal together with different boards. I think it may be a better idea to have two accounts though. Not even sure that is allowed. That’s a great suggestion Whitney. I need to remember to comment on pins I really like or find helpful! Thanks! I have to get better about posting things to Pinterest. These are some great suggestions. Thanks Barbara! Happy pinning! 🙂 I’ve been having so much fun with Pinterest!! OMG, so many great pinterest tips! I LOVE your custom board covers. LOVE that. I think I may be copying… 🙂 I also just followed you on Pinterest. And I’ll be pinning this post as well. Oh, and I’m so excited to check our Board Boosters too! This is a great post about Pinterest. I believe you just about covered every aspect of it that is beneficial to know. Thank you so much for sharing your wisdom with us. Haha! Not sure I covered every aspect . . . but it sure is a VERY long post with way too much information to take in, in just one sitting!! Thanks Crystal! Thank you for sharing this. I also use (rarely) Pinterest, but never really considered that it could be an asset to my blog. I will be using this more often now. 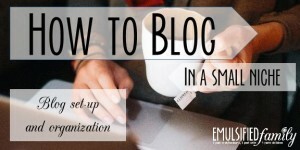 I used to rarely use it too Elizabeth until I started seeing other bloggers rave about it. I hope it brings traffic to your blog like it has mine. 🙂 Good luck! I know what you have said here is really important but it seems so far into the deep-end I will drown…pinning so I can get back to it when I’m ready to take the Pinterest dive. Thanks for this post, I’ve been using pinterest for about a year and I love what it’s done for my very nichy blog and shop. Thanks for the power user tips! Wow I never realized what went into blogging. Being a newbie blogger myself I am deeply appreciative of these tips. Thank you for sharing! I never realized it either. I used to think you just wrote a post and published it . . . if only it were that easy!! These are great tips! Looks like you’re doing good on Pinterest. It’s my number one driver of traffic too and I don’t blog much about crafts or recipes either. I have a very broad “niche” – motherhood – and blog about a ton of things, but Pinterest works for that. 🙂 Thanks for your tips! I’m just so glad other people use it for things other than crafts and recipes!! 🙂 Happy pinning! So many great tips. This post is packed full of great information!!! Sharing via twitter and following your Pinterest boards! Thank you! Yay! I do wish that boardbooster also let me schedule posts for my other social media accounts or vice versa. It definitely would be nice to have it all in one place. But for now I’ll take what I can get and I’m glad that it’s working so well. Good luck today and I hope that it works well for your blog. Pinterest is one website that I am trying hard to get a handle on and to get better at. Thanks for these awesome tips. My pleasure. There is so much to learn. I feel like I am learning something new everyday. Lol. Such is the life of a blogger, right? Such a helpful & useful post. Thank you so much. You mentioned that you don’t spend money on your blog besides hosting fees. When you started your blog, though, did you have to spend money on a theme? I’m kind of new to blogging and have yet to invest in self-hosting b/c I fear how much it’ll cost me to get everything started and set up. Hi Grace. When I started the blog, I already had a membership to Elegant Themes that was paid for because of other websites that I work on. But yes, I would have had to pay for that to get a theme is I didn’t already have it). (I totally forgot about that. I should probably go back and edit the post and mention that. Thanks for asking!) There are quite a few free WordPress themes that you could start with if you wanted to switch over though! This is a really helpful post about Pinterest. I noticed you said you use some different programs to create your images. Have you ever tried Canva? I used it the other day to make an image and it turned out really well and was fairly simple. They have paid plans, but mine was just a free image and it turned out well.